I’ve been enjoying, and in fact marveling at, the consistent quality of the wines produced by the Bacci family at their three Tuscan estates. In no order, Castello di Bossi, Terre di Talamo, and Renieri are estates to have on your radar. 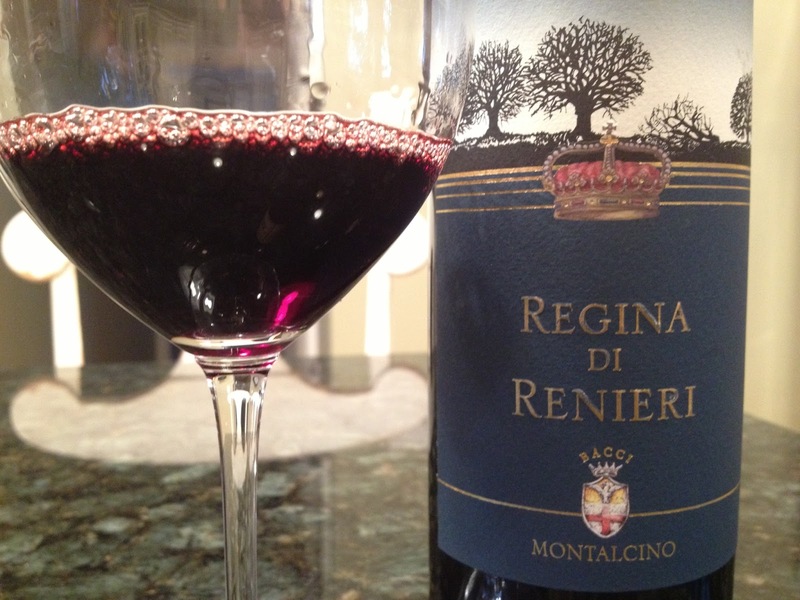 The subject of today’s review, is once again the Montalcino estate of Renieri, but focuses on their Super Tuscan, “Regina”. 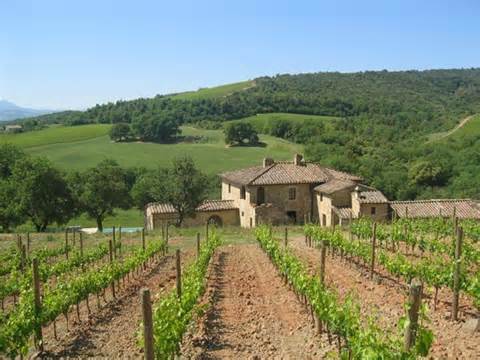 The Renieri estate comprises 128 hectares in the southern quadrant of Montalcino, on slopes that face Mount Amiata. Thirty hectares are under vine at an elevation of about 1,100 feet above sea level. After ripping up the old vineyards, new vines were planted in 1998, at a density of 6,000 vines per hectare that now yield the staggering low amount of only one kilo of grapes per vine; the equivalent of a single bottle of wine. The soils on the estate are poor in nutrients and largely volcanic, with strata of limestone and rock. The vines must struggle to survive in this environment and in doing so, produce excellent quality fruit. While Brunello may take center stage here, Syrah can also thrive. The 2007 Regina di Renieri is comprised of 100% estate grown Syrah and is an inky purple trending to violet in the glass. The taster is immediately greated by intense aromas of smoke, black plums, cocoa/chocolate and sambuca that are woven nicely and persistent. On the palate, the wine is fresh and lively, with baked cake spices, cocoa, black fruits and an almost oily/milky tactile sensation. A bit of smoke and tobacco make appearances on the finish. This wine is aged in 100% new French barrique and while I have typically loved the wines from this estate, this particular example is not among my favorites. Readers that enjoy a stronger oak presence in their wine will no doubt enjoy this, but these flavors aren’t what I personally appreciate in Italian Syrah. 88 points, about $20. And a bonus quick food note…. The bread crumbs are approximate. As you form this together with your hands, it should bind together without being sticky or dry. Adjust as you go. Using a fork, mix all the dry ingredients together on a plate, then add the eggs. Work the two together, using only as much dry ingredients as you need. 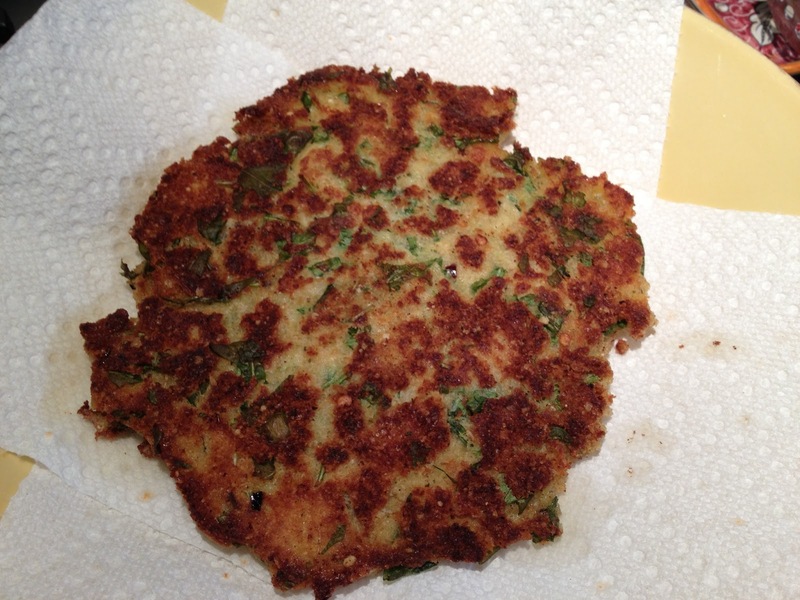 Form into a pancake about 1/4″ thick and pan fry in olive oil for about 2 minutes per side. This is delicious peasant food. Dust with pecorino and serve.